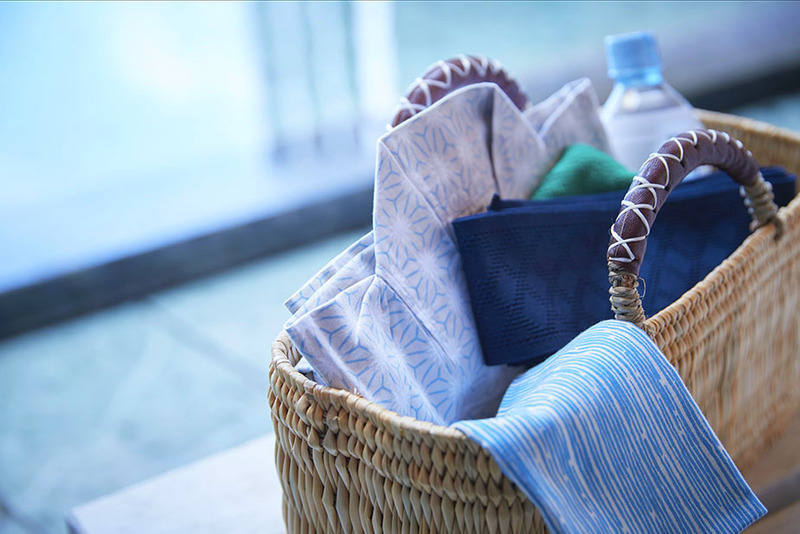 Hot Spring | [OFFICIAL] Hoshino Resorts RISONARE Atami - This resort hotel is immersed in Atami's best scenery and hot spring. and the gushing hot spring water. 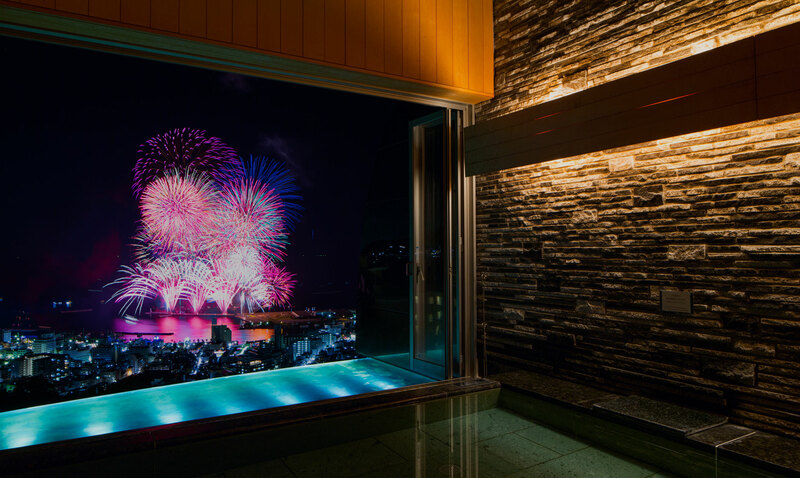 Surrender your body to the hot springs of Atami so beloved by celebrities while you enjoy panoramic vistas throughout the year from atop the mountain—the sunrise and sunset reflected off the open seas of the Pacific and the night lights of the cityscape that sparkle like jewels. Atami’s best scenery are seen from the Semi-outdoor hot spring bath on the top of 170m alutitude mountain. “Myojo no Yu” is situated 170m above sea level and in the best location that allows you to even see the Sagaminada on a fine day, a modern design that truly gives you a feel of floating on the water. 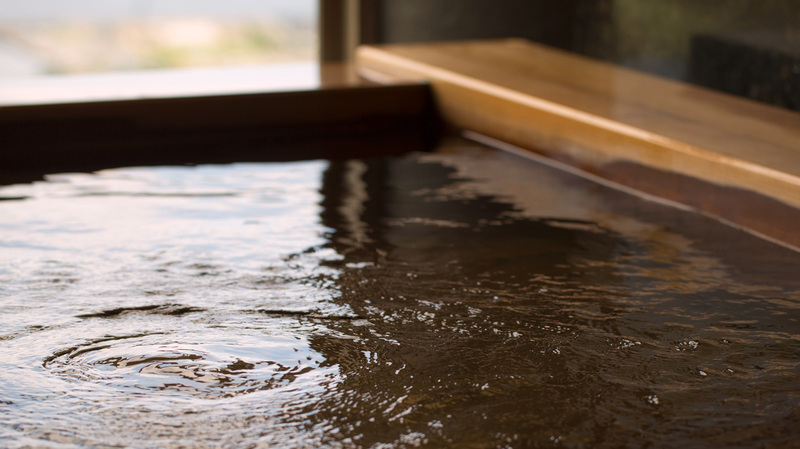 At the public bath, you may enjoy two types of bath – a cypress wooden bath that allows you to feel the warmth of the wood on your skin; and an Izu stone bath that can preserve the heat from the hot spring. We also have sauna for you to use anytime, so you may indulge in a full hot spring trip with us. You may feel dehydration while bathing in hot spring bath. Taking a cup of water before and after bathing is recommended. After finishing the activities at the hotel, let’s immerse in the hot spring to release the body. 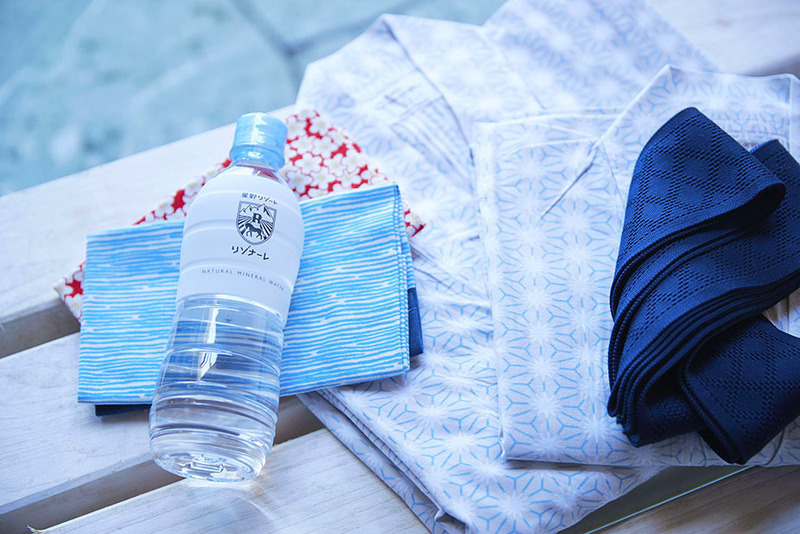 You may also have the Risonare Atami exclusive experience of walking around inside the hotel with the comfortable yukata outfit. The long beloved “Atami’s Hot Spring.” Feeling the passing of time while immersing in the hot spring with a magnificent view. In 1914, the founder Kasuke Hoshino opened Hoshino Hot Spring Hotel at Karuizawa. It was named as “Myojo-Kan”and was loved by many, and that is where the name “Myojo no Yu” was inherited from. It was said that the naming came from the Japanese author couple Tekkan and Akiko Yosano, and even the name “Myojo no Yu” was used in Tekkan’s poem. The hotel was then reborn into Hoshinoya Karuizawa, and the hot spring was also renamed as “Tombo no Yu.” The only hot spring left that still inherits the name is right here in the public bath of Hoshino Resort Risonare Atami. ※10:30pm-1:00am is for guests above 12 years old only. Hotel guests can use it for free (non-hotel guests are not allowed).